The McKinley Beach Community has beachfront cooking areas set up for resident’s use; whether it’s an evening by the campfire, the need to satiate a craving for s’mores, or a full out dinner under the stars on a crisp late-summer evening. 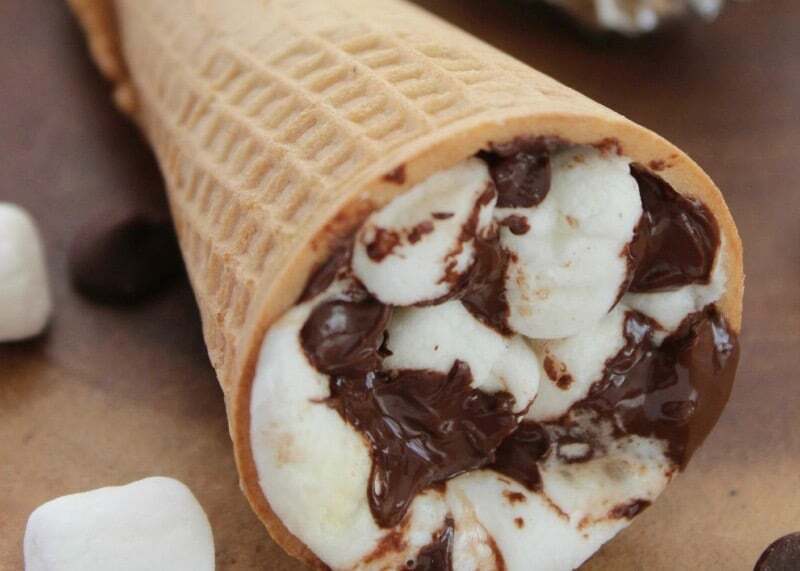 This week we wanted to share just a few recipes ideas for your outdoor cooking pleasure . . .
Cut the steak into 1-inch chunks and add to a rimmed baking pan along with the mushrooms. 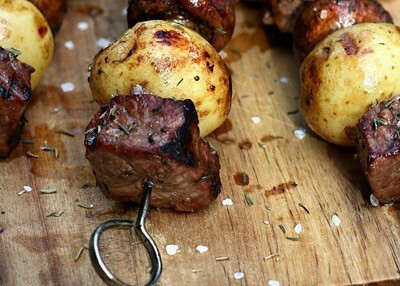 Thread the marinated steak and mushrooms, along with the potatoes, onto skewers. Heat grill to medium-high heat. Grill kabobs for 10-12 minutes, turning once, until meat is cooked to desired doneness. Re-season with salt and pepper and serve immediately. Heat grill to medium heat. Cut 4 sheets, enough to wrap the chicken and veggies, of heavy duty foil. 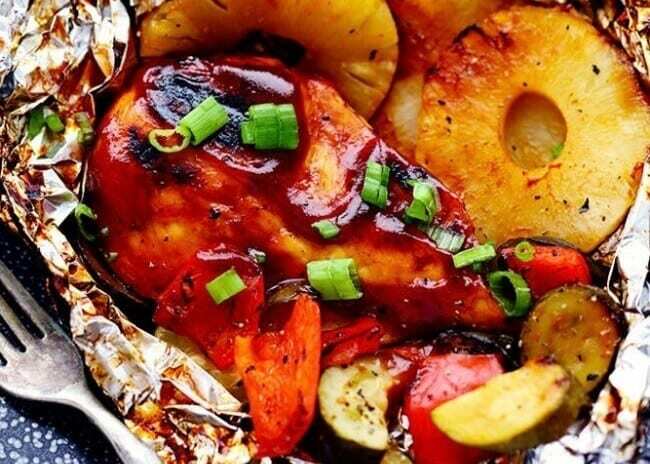 Place chicken on center of aluminum foil and divide the veggies and add 2-3 pineapple slices into each packet. In a bowl, whisk together bbq sauce, juice from the can of pineapple slices, soy sauce, and garlic. Spread about 2 Tablespoons of the sauce on the chicken and make sure to reserve about ¼ cup. Place chicken packets onto grill and grill for 13-15 minutes flipping at about 7 minutes.To serve carefully open packets, baste with reserve sauce and garnish with green onions.